When it comes to staying healthy, happy, and feeling good, some harmful habits are obvious to avoid. You know midnight snacks are bad for your waistline and a day at the beach without sunscreen can lead to serious skin problems — but what about the little habits that no one really mentions? When it comes to your oral health, your dentist in Temple knows there are a number of everyday activities that don’t get as much attention as they should. Keep reading to find out what they are so you can cut them out ASAP! 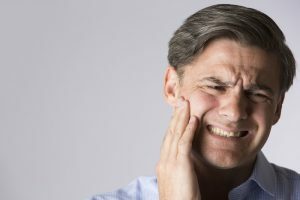 If you turn to nail-biting or pen chewing when the pressure heats up, you should know you are doing your teeth a real disservice. Yes, tooth enamel is one of the hardest substances in the body, but it is not invincible. Putting constant stress on your tooth enamel leaves your teeth at risk of chipping or breaking. Instead, try squeezing a stress ball or popping a rubber band to release tension while keeping your smile protected. Many of our favorite foods can also put our teeth at risk of injury, like toffee, caramel, and even nutritious nuts and crusty breads. We recommend skipping the sticky sweets altogether, but anytime you are faced with something crunchy, hard, or sticky, it is best to take small bites (or cut the item up into smaller pieces) and chew carefully. Sometimes it seems like a lot of effort to find the scissors or pliers, but your dentist always, always recommends against using your teeth as tools, like for opening packages or cutting through plastic. Maybe you have scraped by without any injury or damage in the past, but your luck is sure to run out at some point. Next time, take a moment to stop what you are doing and find the right tool before resorting to your teeth. Your oral health is too important! We know how satisfying it can feel to remove plaque buildup from around your teeth, and doing so regularly is key for enjoying a clean, healthy smile. However, we advise to stick to the approved methods of doing so, like with a toothbrush and dental floss! Never scrape your teeth with a foreign object like a bobby pin or anything else — doing so puts you at risk of cutting your gums, scratching your tooth enamel, or other injury. Last but not least, many people are in the habit of not visiting the dentist as recommended. Patients of all ages should come in every six months for a checkup and cleaning — so when was your last trip to your family dentist? If it’s been a while, do not hesitate to get in touch with our office! Dr. Richard Fossum and Dr. Brooke Elmore provide high quality, comprehensive dental services from the comfort of a state-of-the-art office. To learn more about their treatments or to schedule an appointment, please do not hesitate to get in touch at 254-778-3900.